The For Counselors Only Conference was held March 5, 2018, at Moore Norman Technology Center, S. Penn Campus., 13301 South Pennsylvania Avenue, Oklahoma City, OK 73170. Speakers from across the state provided opportunities to participate in informative sessions designed to positively affect the academic, career, emotional, and social development of counselors and their students or clients. To view the conference and PowerPoint presentations, visit the For Counselors Only web page (https://sites.google.com/view/counselorsonly2018) and select the Conference Video and Presentations tab. We have created many new webinars and live training, and we will be presenting at locations across the state. Check out this new page with all of our upcoming presentations, plus archived presentations. This can be accessed by viewing the past newsletters and by Signing Up. This interactive website that is an easy online tool available for all Oklahomans to explore their future. You can take assessments, identify occupations, establish education plans, and, ultimately, connect to employers. Whether you are a student searching for career and college options or an adult looking for a new career path, OK Career Guide is the powerful tool to provide all the career and educational resources you need to chart your course for the future. This interactive site is a comprehensive place where you can plan for college powered by the Oklahoma Regents for Higher Education. An overview of the requirements of Concurrent Enrollment for students in 11th and 12th grader who would like to take credit-earning college courses. American Psychological Association - The APA represents psychology in the United States and is the largest association of psychologists worldwide. American School Counselor Association - ASCA is the national organization that represents the profession of school counseling. ASCA focuses on providing professional development, enhancing school counseling programs, and researching effective school counseling practices. National Association for College Admission Counseling - NACAC is an education association of secondary school counselors, college and university admission officers and counselors and related individuals who work with students as they make the transition from high school to postsecondary education. National Association of School Psychologists - The National Association of School Psychologists represents school psychology and supports school psychologists to enhance the learning and mental health of all children and youth. National Board for Professional Teaching Standards - The National Board for Professional Teaching Standards (NBPTS) sets standards and offers national certification in nearly 30 fields, including school counseling. School counselors may apply directly to the NBPTS for national certification. For additional information, see "National Board Certified Teachers." 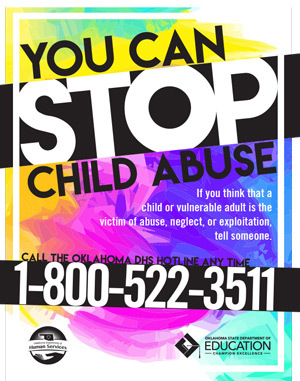 Oklahoma Counseling Association - Oklahoma's organization for all persons engaged in any phase of personnel work, educational-vocational guidance and professional counseling. The Association is organized as a state branch of the American Counseling Association. Oklahoma School Counselor Association - This organization works to foster a close personal and professional relationship among school counselors and with counselors in other settings. Additionally, the group works to improve the standards of counseling and the relationships with other pupil personnel services for students in elementary, middle school/junior high, senior high and post-high school settings. OSCA is chartered by the American School Counselor Association.